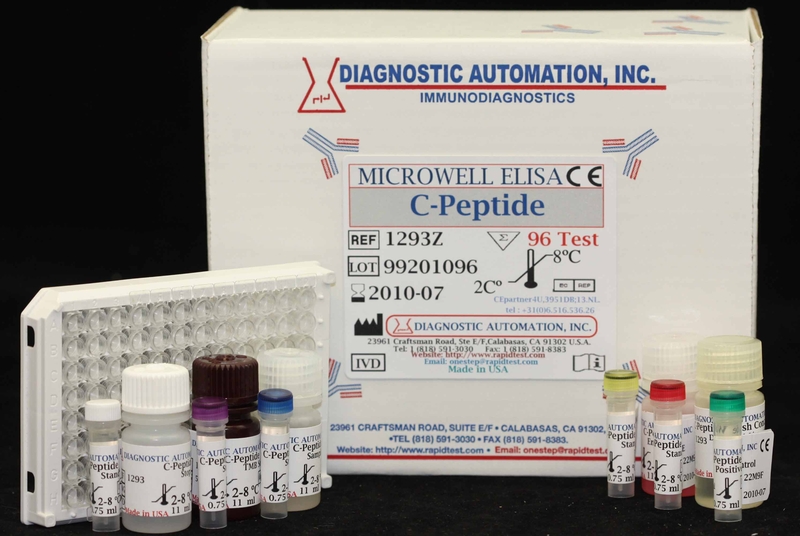 This C-Peptide ELISA test kit is a solid phase enzyme linked immunosorbent assay for measurement of C-peptide concentration in serum. Diabetes is one of the leading causes of disability and death in the U.S. It affects an estimated 16 million Americans, about one third of them do not even know they have the disease. The most common forms of diabetes are type 1 and type 2. Both insulin and C-Peptide are produced by enzymatic cleavage of proinsulin. Proinsulin is stored in the secretory granuleof pancreatic Beta -cells and is split into a 31 amino acid connecting peptide (C-Peptide; MW 3600) and insulin (MW 6000). C-Peptide is devoid of any biological activity but appears to be necessary to maintain the structural integrity of insulin. Although insulin and C-Peptide are secreted into portal circulation in equimolar concentrations, fasting levels of C-Peptide are 5-10 fold higher than those of insulin owing to the longer half-life of C-Peptide. The liver does not extract C-Peptide however; it is removed from the circulation by degradation in the kidneys with a fraction passing out unchanged in urine. Hence urine CPeptide levels correlate well with fasting C-Peptide levels in serum. 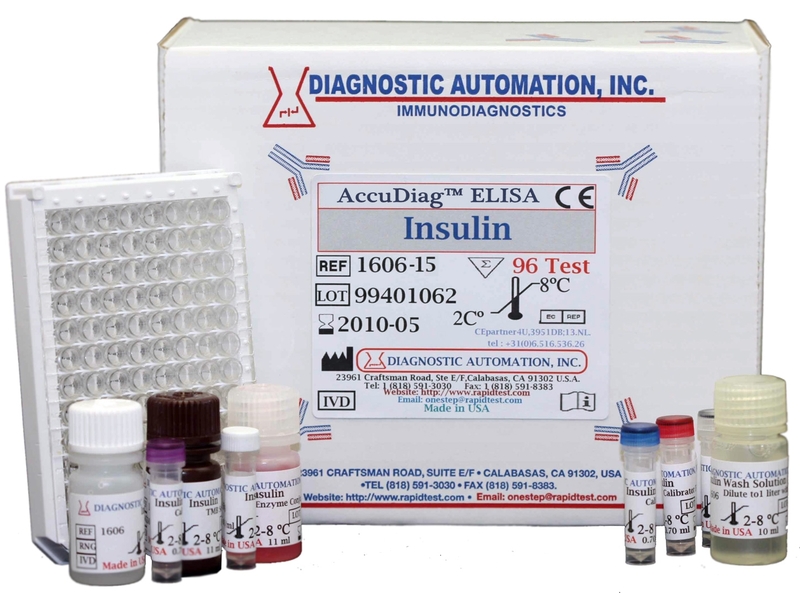 The glucagon stimulated C-Peptide determination is often used for differential diagnosis of insulin-dependent from non-insulin-dependent diabetic patients. In-vitro determination of insulin and C-Peptide levels help in the differential diagnosis of liver disease, acromegaly, Cushing's syndrome, familial glucose intolerance, insulinoma, renal failure, ingestion of accidental oral hypoglycemic drugs or insulin induced factitious hypoglycemic. The essential reagents required for an immunoenzymometric assay include high affinity and specificity antibodies (Ab). (enzume conjugated and immobilized), with different and distinct epitope recognition, in excess, and native antigen (Ag). In this procedure, the immobilization takes place during the assay at the surface of a microplate well through the interaction of streptavidin coated on the well and exogenously added biotinylated monoclonal C-peptide antibody. C-Peptide values are consistently higher in plasma than in serum; Dianostic Automation Inc advises that a serum sample be used for accurate determination. Compared with fasting values in non-obese non-diabetic individuals, C-Peptide levels are higher in obese non-diabetic subjects and lower in trained athletes. 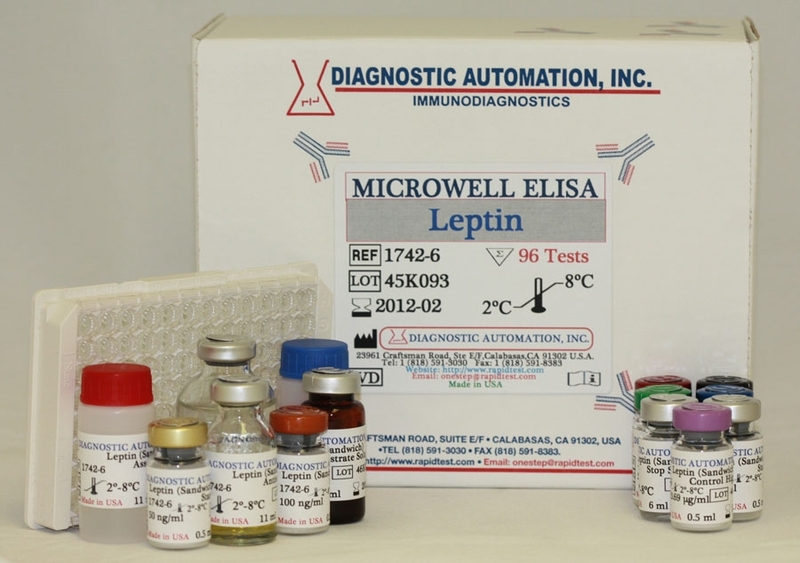 Each laboratory is advised to establish its own ranges for normal and abnormal populations. These ranges are always dependent upon locale, population, laboratory, technique and specificity of the method.